Weather update: No super pressure balloon launch attempt for Friday, April 8, due to poor weather; officials will meet Friday afternoon to determine if Saturday’s weather will support a launch attempt from Wanaka, New Zealand. (All dates are New Zealand). The primary mission of NASA’s super pressure balloon (SPB) flight from Wanaka, New Zealand, is to test and validate the SPB technology itself with the goal of long-duration flight (100+ days) at mid-latitudes. While that mission is the main focus, a few other payloads are taking advantage of the remaining room on the gondola to piggyback a ride to the near-space environment. 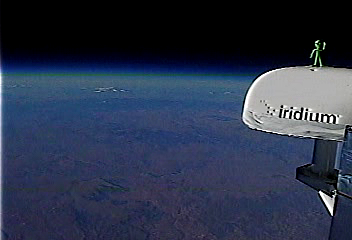 Notably, we’ve discussed on this blog the Compton Spectrometer and Imager (COSI) gamma-ray telescope, an endeavor by the University of California, Berkeley, flying on the super pressure balloon. With long-duration flight in the southern hemisphere key to COSI’s success, Principal Investigator Steven Boggs explains how COSI will work in the video clip below. In addition, Daniel Bowman, a PhD candidate at the University of North Carolina at Chapel Hill, is flying a modified version of his Carolina Infrasound instrument. Infrasound is too low pitched for the human ear to detect, but the vast majority of the Earth’s natural soundscape lies in this frequency band. The small, three-kilogram payload consists of three infrasound microphones, a data logger, and power supply. The Carolina Infrasound instrument is pictured here in its flight ready state on the super pressure balloon gondola. 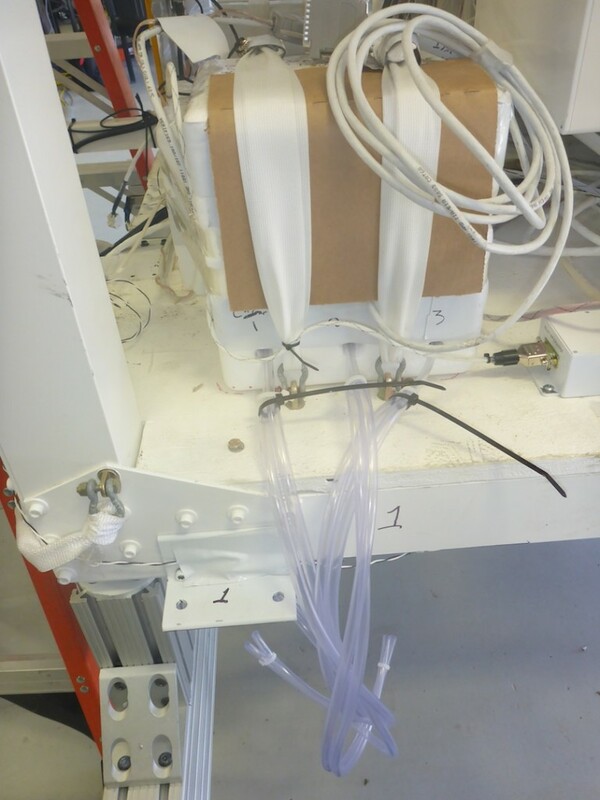 Each pair of tubes leads to pressure ports on the infrasound microphones; the ends of the tubes will be exposed to the ambient air during flight. Daniel Bowman, PhD candidate at the University of North Carolina at Chapel Hill, has conducted multiple studies of the acoustic wave field in the stratosphere flying infrasound microphones on NASA scientific balloon missions. Infrasound measurements are made regularly on ground-based stations, but stratospheric acoustics is a relatively unexplored field: the last observations prior to the UNC HASP experiment occurred over half a century ago. Thus, the prospect of long-duration flights in the southern hemisphere could expand the envelope of Bowman’s infrasound studies previously conducted on HASP. HASP balloon flights average around 24 hours, which means for instruments like Bowman’s, the amount of area covered is relatively small. In addition, there are challenges in discerning human-generated acoustic signals from those naturally occurring given the operational area of HASP flights. With a long-duration flight largely over water, Bowman hopes to probe a number of additional scientific questions, such as what is the acoustic wave field of the stratosphere in the lower southern hemisphere and how does topography and the diurnal cycle influence it. Traveling Al, a native of Roswell, N.M., is seen flying atop a balloon gondola antenna boom during a test flight that launched from Fort Sumner, N.M., Oct. 10, 2015. Having flown just 11 hours and 27 minutes on that flight, Al is looking forward to traveling around the world on a long duration flight aboard NASA’s super pressure balloon, launching from Wanaka, New Zealand. Finally, the Columbia Scientific Balloon Facility’s unofficial mascot Ali En (better known to the team as “Traveling Al”) is hitching a ride on this year’s super pressure balloon flight. A veteran of one previous balloon flight, Al is looking forward to a long-duration flight around the world. As the balloon circumnavigates the globe and traverses landmasses at mid-latitude, Al’s mission is to assure spotters they are seeing a NASA scientific balloon and not a UFO.